It's been a few weeks since I last wrote a blog post- 4 weeks, to be exact (in case you were wondering). The last four weeks have been filled with work and medical appointments and babysitting grandchildren and getting taxes together and...well...all sorts of "real life" things like that. Of course, I did do some research in spare moments here and there. To be exact, I got stuck on Eliza Emoline BELL about whom I was supposed to write at the end of week 8. There were so many times I felt on the verge of a major discovery about her in the last four weeks and each time my hopes were thwarted. However, I made an exciting and accidental discovery about Charles Junior DRAKE whom I wrote about here and whom I mentioned here. I'm hoping to make a trip to a courthouse next week to confirm some details and then I plan to let you in on the story. Each time I revisit this story about Charles ("C.J.") it makes me sad for my great-grandma Edith. I think I miss her more now than I ever have in my whole life. I was completely shocked by the information I found tonight and I can't wait to share it with you if it turns out to be true. 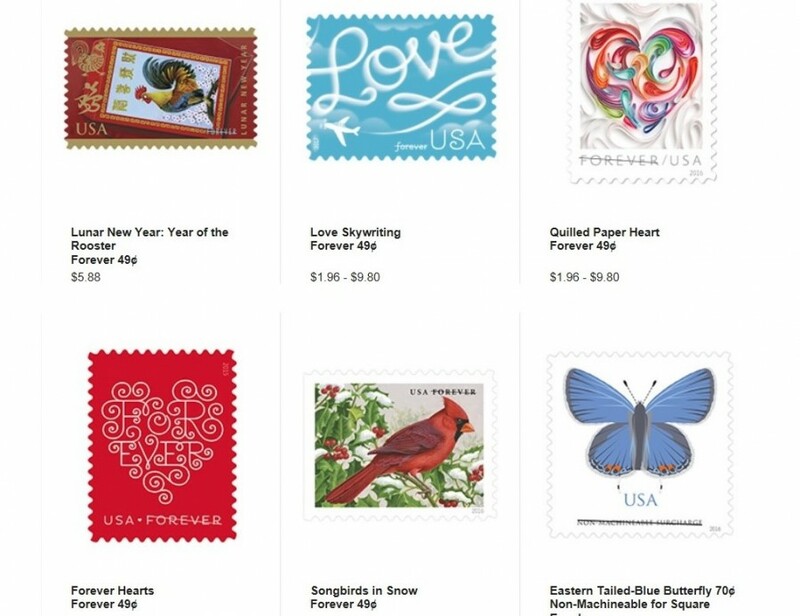 Just a few of the new 49 cent stamps available right now at the Post Office or at their website. I love all the new stamps- old pickup trucks, national parks, famous people- all kinds of stamps and they are so cool! I used to collect stamps. I think today's stamps are much cooler-looking but I can't imagine stamp collecting is as much fun as it was before the sticker-type stamps came along. In any case, I'm going to be mailing cards and letters throughout April- some to friends and family and some to request genealogical records that I can share with you here on the blog. I'm really looking forward to it and I hope you'll join me. 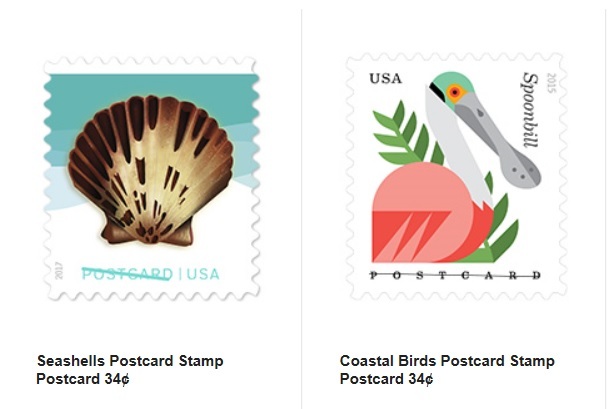 If you can't find the stamps you like at your local Post Office, be sure to order your favorites online. I've already purchased a book of the WPA poster stamps (very cool!) and my first letter will be a request to the National Archives and Records Administration requesting a copy of my grandpa's WPA personnel file. (Who knew you could get a copy of the personnel file?!) So PLEASE- join me. Make someone's day by sending them a letter or card. Tell someone thank you, wish someone a happy birthday, or catch up with an old friend. Request a travel guide for an upcoming vacation or just tell someone "great job"! If you can't think of something to say or can't think of someone to write to, visit your local nursing home and offer to write a letter on behalf of an elderly person who can't perform the physical act of writing anymore. I'm looking forward to hearing about your April letter/card-writing adventures. I'm also looking forward to writing on the blog again- I've missed you all!